Visiting my family in Central America has definitely influenced me over the years. I’ve copied many aspects of the Latin American culture and made them my own. From dance to dress I feel more at home here then I ever have. What is interesting to me is the effect I have had on my family in Central America. Just like I saw in El Salvador, they have taken on some of my American culture. My bother Ernesto recently told me that his visits to America were some of the most influential experiences of his life. A couple months after we were first were reunited he came to stay with for a 6 weeks while he took english an class in Boston. He came back in 2003 and 2004 to spend the summer. During his trips he got to see what our family was like. He noticed that we were more organized and structured than his family back home. Looking for ways to improve his own life he started to copy us. Copying those ideas had a profound impact on him. Ernesto, now 31, plays a very important roll in the family business and yesterday he became a proud father. This is not typical for people his age in Central America. Most of his class mates already have several kids are not nearly as organized or responsible as him. In this way he is much more North American. He credits some of his success to his visting with us and his interactions with me. 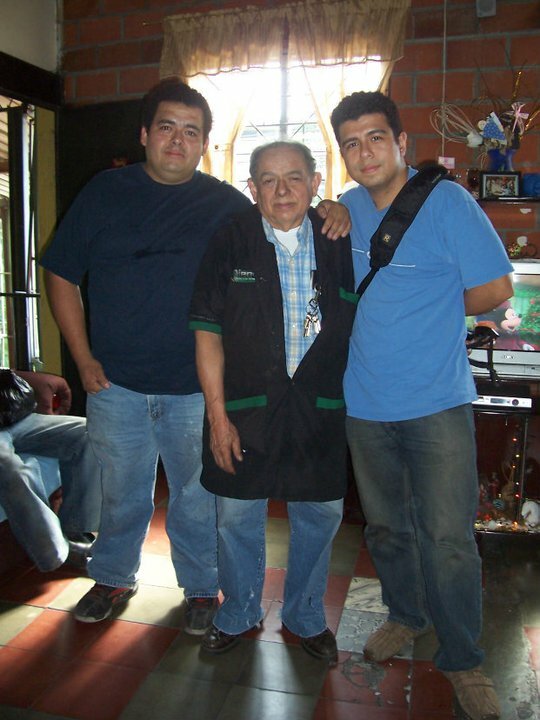 He was able to use certain parts of our culture to improve his life in Central America. Besides Ernesto you can see my influence on the family and our business. We are some of the most connected and technology advanced people in David, Panama. The business heavily uses an inventory and design database to stay organized. There are computers all over the place which are networked and enable better communication. We have broadband internet in both the house and office. My birth father often skypes family in El Salvador. My presences and culture has also had some secondary effects. An employee here learned how to be more organized from my brother. He went from being slow and not know what to do to taking an important role in the business. My older sister Eva credits her much of her success in American companies to her knowledge of English, which she learned so she could talk with me. It’s interesting to see how reuniting with my family has spread our respective cultures to each other. We have both been exposed to new ideas and different ways of thinking. From these differences we have improved our lives and ourselves. I wish more people were brave enough step outside of their confort zone and experience new cultures and ideas. After spending a couple of days with the Escobars, I thought I should reach out to my father’s side of the family. My cousin Luis picked me up at my Aunt Dalilla’s house. We were going to his brother’s house for dinner. Before we got to dinner, we stopped by his house to wait for my cousins Cecelia and Doris. Luis lives in a small apartment on top of his father’s car parts and accessories store. Luis’ father Mariano meets us at the doorway and invites us in so we can talk. I make my way up to the second level which is filled with chairs and other supplies. Clearly it’s being used as storage for the shop. We go up another flight of stairs to the apartment. There is one main living room. To the left is a kitchen and study room. The bedroom is to the right. The only bathroom is in the living room and is not entirely closed off. It’s tight quarters with little privacy, but it’s home. We take a seat at a big table in the living room. I met Mariano once before in 1998. It was an emotional experience for his wife. She remembered bathing me the night before my mother and I fled the county. Mariano looks a lot older now. I don’t remember exactly what he looked like back then, but now he looks old enough to be my grandfather. He tells me about how they used to listen to the clandestine radios during the war. They would have to turn the radio all the way down so no one could hear it. He explains that people couldn’t sit and talk as we are. He tells me how he and his wife helped my mother during the war. They took care of me and helped her get things she needed. “Is this where you lived back then?” I ask. I look around as I realize my mother must have stayed here with me. I can almost picture her walking around the apartment with me in her arms. Talking to him reminds me so much of my father. The way they move is so similar. However, there is something different about Mariano. He is calm and collected. There is a sadness about him but he is not resentful. He has had a hard life and yet, I feel no bitterness or anger from him. “Do you think things have changed?” He’s not so sure. He says, my parents fought because people were repressed and poor. 30 years later, they are still poor and all that is different is the leadership. I explain to him that I am in many ways the product of America. It was American foreign policy that separated me, and American culture that made me who I am. Then he says something I did not expected. “It wasn’t the people of America that did this, it was a few powerful people who acted in their own self interest that did this.” I’m blown away by his insight and wisdom. Most of the people I have talked to about the war do not have such a clear understanding of the situation. He talks about the gangs in El Salvador. How people will rob the busses and shoot you if you don’t give them what they want. Sadly he knows all to well how about this. A couple years ago his son was killed during a carjacking. He was sitting next to him when it happened. From where he sits we are the lucky ones. In his eyes even though we were separated from each other, we were still better off. This trip has been difficult because it showed me what life here might have been like and it made me question the decisions my parents made. It made me wish for a simpler life, where my family is not separated. But what if we had never been separated? Would it have worked out like I imagine, or would life have been just as hard as it has been for Marino. Would I have been happy with a life in El Salvador, or would I be searching for more? Searching for the life I have now. For most of the past 12 years I have gotten to know my father’s side of the family more than my mother’s. This is because I usually stay with my father and sister. My family there is very “Coto,” and it’s easy to see how similar we are. When I first met my family, I noticed right away that the Cotos walk the same. We have a distinctive duck waddle that is easy to spot when we are together. The more time I spend with my bother, sisters and father, the more of these traits I have noticed. 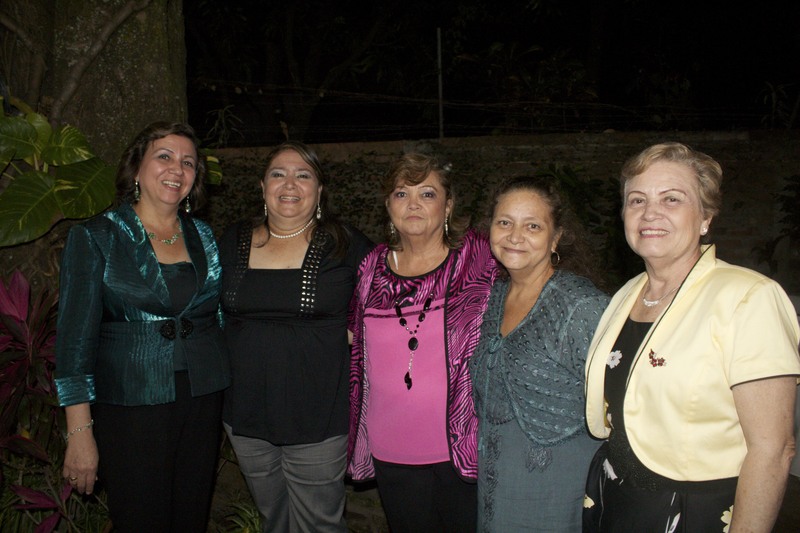 Since most of the Escobars are still in El Salvador, I haven’t had a chance to get to know them as well. During this trip I really got to see what the other side of the family was like. One night after going out to eat Pupusas, a typical Salvadoran dish, we stopped by my Aunt Haydee’s house. As she was talking, I noticed right away that my brother Ernesto and she make very similar facial movements. I chuckled a little and hoped she didn’t notice. I could just picture Ernesto making the same face. I looked over to my aunt Tita on the couch and there she was, sitting just as I would. Back to a corner, one arm stretched resting on the sofa back, the other in the air supporting her head. Up until that point I always thought my mannerisms came exclusively from my father’s side. It was nice to see one from my mother. I’ve often wondered what else I got from my mother. Looking so much like my father, I thought a lot of my personality might have come from her. Watching the family interact, I got to see their characteristics. My Aunt Tita and her daughters are warm, fun loving, and silly. My Aunt Dalilla and her sons are more quiet, reserved, and pensive. What a wide range of personalities! I definitely see these same traits in myself. It appears my hunch was correct, I am very much an Escobar. That weekend was my cousin’s wedding. It was one of the reasons that I decided to go back to El Salvador. In attendance were all but one of my aunts and cousins I had not seen in 12 years. Some of them resembled my sister and her daughter. Others reminded me of my late grandmother. My cousin Cesar bares a striking resemblance to Ernesto. He was there with his wife, daughter, and newborn son. Again I’m reminded of the life I might have had. We danced and laughed the whole night. Besides figuring out which family members looked alike, I also learned more about our family history. I learned that my grandfather, Hector Escobar, worked in construction and even helped build the Panama Canal. It’s very cool to think that our family had a small part to play in its creation. Getting to know the Escobars was a lot of fun. I got to see another side of my family and myself. If you are unable to see the video click here. Yesterday, 12 years ago our family was reunited for the first time. It was an incredible experience and to celebrate we did an online video and chat. It was a lot of fun and it was great to hear everyone share their experiences. For those of you who could not stay for the entire show, or were unable to join us, we recorded the whole thing. It is about 2 hours long but I bookmarked each section to make it easier for people to watch in parts. We would love to hear your thoughts and feedback because we are thinking about doing it again. Next week I will be flying down to Central America again to work on a project with my father’s business in Panama. This will be a little shorter than my last trip which was a month long. I’ll be down there for 3 weeks. On the trip I will be doing work for a business that I am trying to start up. As part of this business I am trying to show the impact that technology has on developing nations. If you are interested in learning more about the work I am doing take a look at my company’s site www.cotosolutions.com. I’m excited to see my brother and sisters. My grandmother was sick a couple weeks ago so I am looking forward to seeing her as well. Maybe I will get a chance to do a few more video interviews! How Do You Make Impossible Decisions? How do you make an impossible decision? The type of decision that can forever change your life and the lives of the people you care about the most. How do you walk away from a husband who drinks to much? Or leave your comrades at arms to raise a family? How does a teenager find the strength and courage to run away from his or her parents? How do you leave a business that has been your life’s work knowing it might fall apart if you do? I don’t know how we make these decisions. We think and think, yet no matter how hard we think the answer eludes us. We are faced with a choice of doing what’s best for us or doing what’s best for those around us. You ask yourself a never ending set of questions as you struggle to make the right choice. Should you honor your commitments even when you are no longer happy? Are you being selfish or doing what’s best for you? When is enough, enough? I wish there was some easy way to know what the best course of action is, but there isn’t. These are things that you must decided for yourself. You can ask for people’s advice and get their input, but at the end of the day you have to live with your choices. You must be accountable for your actions and accept all consequences no matter how undesirable. Sometimes I feel like our story has been one impossible decision after another. I admire the courage and strength that each of those decisions took to make. There is no right answer. They are impossible because it feels like no ones wins. Even when you know you are doing the best thing for yourself you can’t help but feel bad for the people it is going to effect.